Are you wondering how marketing on Instagram will change in 2017? 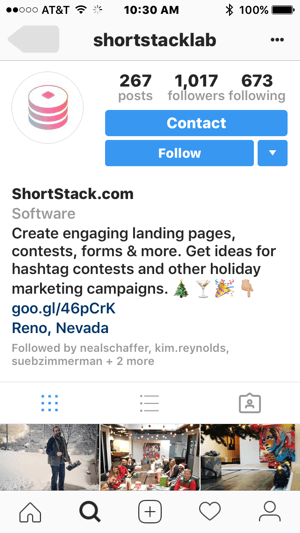 The rapid introduction of new Instagram features in 2016 suggests marketers have more changes to look forward to in 2017. To get a feel for where Instagram is heading in the coming year, we reached out to social media pros to get their thoughts. 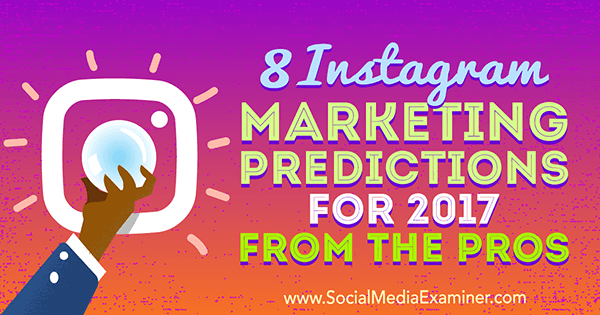 8 Instagram Marketing Predictions for 2017 From the Pros by Lisa D. Jenkins on Social Media Examiner. Today, over 48% of brands are on Instagram and it’s estimated that number will rise to more than 70% in 2017. As the must-have app for businesses, Instagram is hyper-focused on improving its ads and analytics in the year to come. It’s expected in 2017 that Instagram’s mobile ad revenues will reach $2.81 billion. How will they do it? By offering improved analytics tools, Instagram will continue to focus on creating an easy-to-use experience for all business owners, regardless of their analytics experience. 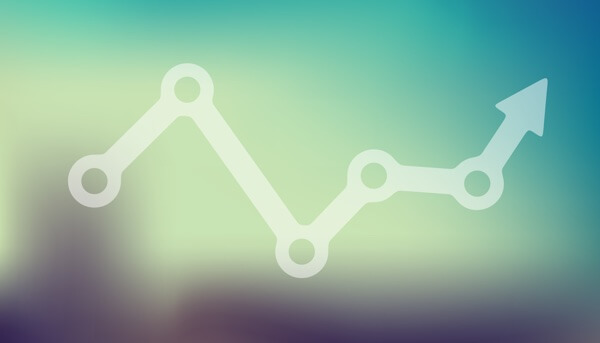 Currently, business owners have access to analytics that evaluate impressions, reach, engagement, and audience. But I anticipate that Instagram will grow the breadth and types of analytics for business owners. Instagram will improve their analytics offerings and user experience. Instagram Live video will be savable for 24 hours. Instagram Stories will get more filter options, a wider rollout for clickable links, and integration with Hyperlapse and Boomerang. Saving drafts will include the ability to store drafts in organized subfolders – a huge bonus for business owners. The Reply feature will be improved and tucked under the original comment. Shoppable tags will roll out to a wider group of users. Sue B. Zimmerman is the #instagramexpert and creator of the online Instagram course, Ready Set Gram. A trend I’ve noticed over the past several months, one I believe will continue in 2017, is Instagram taking over more market share from Snapchat. While Snapchat Stories let you give your audience an inside look at your business and your life, when Instagram came out with InstaStories, they made it so easy to do multiple things on a single platform. The biggest difference between the two platforms, beyond being able to do multiple things on a single platform, is in the connection features. Snapchat doesn’t make it easy to connect with others. On Instagram, however, you can easily connect with Facebook friends and followers, in addition to being able to search for friends and those you want to follow. Instagram makes it easy to publish your Instagram posts to Facebook. The best way for marketers to adapt is to start using Instagram for all that it offers instead of spreading yourself too thin on multiple platforms. Start using InstaStories to share behind-the-scenes stuff with your audience that would add value to their day, while at the same time letting them get to know, like, and trust you more. All the while, you’ll be building meaningful connections with your followers! John Lee Dumas is the host of EOFire, an award-winning podcast where he interviews today’s most successful entrepreneurs 7 days a week. In 2017, we’ll see more of a shift towards user-generated content (UGC). Smart brands, especially in tourism, are tapping into fan content through hashtags and community-driven campaigns. I’m sure we’ll see more account “takeovers” too, especially with live and disappearing content like on Instagram and Snapchat. Marketers can set themselves up to leverage this shift by putting in place systems to allow them to share UGC easily (and legally). The problem is that Instagram doesn’t have a clear “share” function, so permission is often implied, even though it may not strictly hold up if challenged. Tack helps businesses collect user-generated content easily and lawfully. Tools like Tack can help brands systemize the process of legitimately requesting and approving permission to post fan content. The end result is more relatable and trusted content for your brand and its community. Donna Moritz is the founder of Socially Sorted, winner of Best Business Blog in Australia 2014 and a Top 10 Social Media Blog for Social Media Examiner, 2015 and 2016. 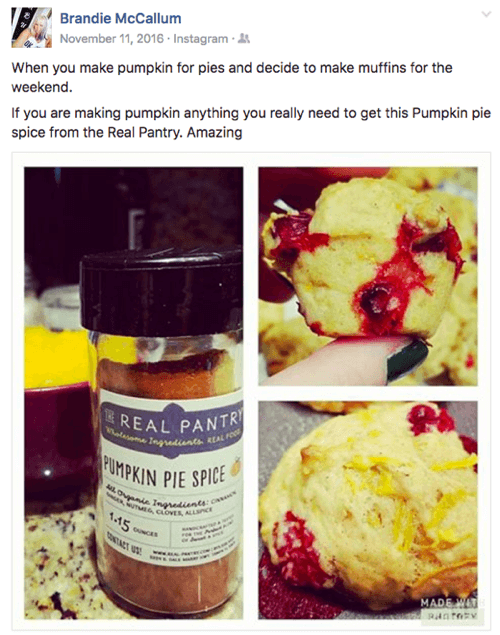 For a long time, many small business owners viewed Instagram as a purely visual platform intended mostly for those with a visual product, particularly in the food and fashion industries. It wasn’t seen as an efficient traffic-driving platform because it lacked clickable links, and it was difficult to achieve viral status without the built-in function of resharing. It was easy to dismiss in favor of platforms like Facebook, Twitter, or YouTube. But the product developments and new features introduced over the last few years (and the last few months especially) have changed that. Longer video, Hyperlapse, Boomerang, the ability to switch between accounts, photo zoom, shoppable images, Stories, and live video have transformed Instagram into a much more convenient and dynamic opportunity for brands, influencers, and business owners. I’ve seen so many people leveraging the platform in new and creative ways, and using Stories and Live video to create more direct engagement opportunities with their customers and clients. If Instagram continues to implement new features that address consumer needs and market demands, I think we’re going to see it continue to grow and keep some of its competitors’ growth at bay. For this reason, I’ve been investing a lot of time and effort into Instagram, trying to make the most of the available features for myself and my clients. While there’s a lot of power in paid ads on Instagram, given the Facebook data available for use in targeting, there’s still an incredible amount of organic reach and engagement possible. Savvy brands should capitalize on this in the coming months! Melanie Deziel is an award-winning branded content strategist and consultant, and the founder of The Overlap League native ad newsletter. It’s clear that Mark Zuckerberg wants to crush Snapchat, so he’ll be going after them blow for blow. While the video options and Story flow will improve, I believe we’ll also see more effort put into developing better business tools to help sellers create a flourishing marketplace on the platform. How lucky are we, the consumer? John Kapos is creator at and owner of Perfection Chocolates in Australia. Known online as Chocolate Johnny, he’s very active on Periscope, Facebook, Instagram, Snapchat, and Twitter. My prediction is that Instagram is going to become a shopping haven for end users and a cash cow for marketers. Instagram has been testing shoppable product tags that give the viewer immediate information on a product without leaving the platform. If the viewer decides to purchase, he or she clicks a Shop Now button to go directly to a landing page to place an order. 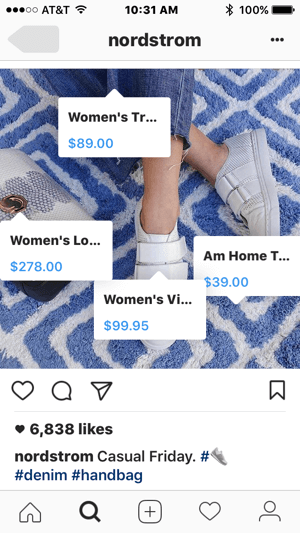 Instagram’s shoppable product tags will make it easy for users to purchase your products. In the past, the only option we had as marketers was to use the one link in our bio. This new shopping option is going to be a game-changer! When it comes to Instagram in 2017, I expect to see the platform grow up to be more like its big brother (sister? ), Facebook. We already saw a lot of these changes in 2016 and I expect this year to be even more catalytic. The Instagram algorithm will continue to be more important, paid advertising will continue to increase and impact businesses, there will be a huge push for live video in Stories, and more users will join the platform, pushing Instagram towards a billion users in the near future. We’ll see a diversification of the platform as Instagram Stories changes its demographics and utilization going forward. Instagram is expected to add new features to business profiles in 2017. 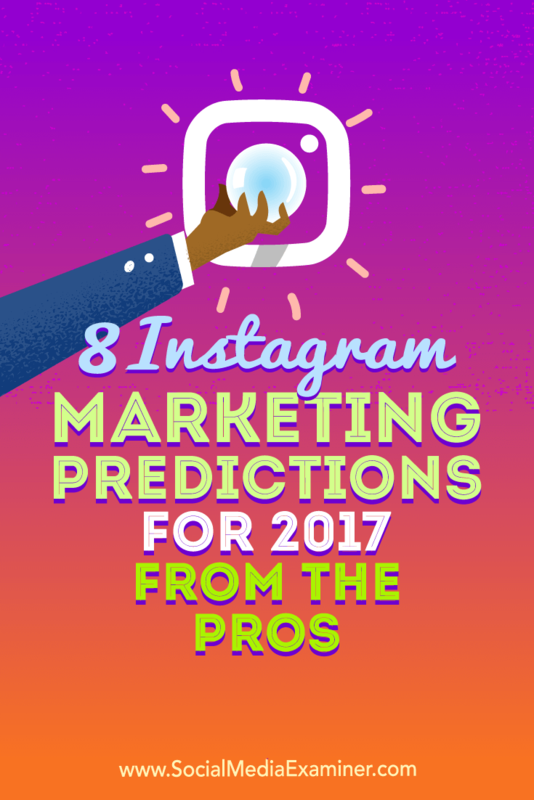 I also expect to see Instagram increasingly embrace marketers and marketing strategies in 2017. I think business profiles will get even more access and features, and there will be new ways to allow shopping from within the app or providing access to links outside of using the bio. As changes take place and Instagram evolves, businesses are going to have to be smarter and more strategic to take advantage of these features and not get swallowed in the void of a noisy platform. Jenn Herman, a globally recognized Instagram expert, is the author of The Ultimate Beginner’s Guide to Instagram and Stop Guessing: Your Step-by-Step Guide to Creating a Social Media Strategy. Instagram has moved from sharing your single most important snap of the day to a full-blown visual storytelling platform. It’s exciting and challenging! Without the polish and editing of a photo, Live videos and Instagram Stories are more authentic and spontaneous as things are recorded on the go. This creates a more intimate conversation and is very engaging. Short videos for an Instagram post. Utilizing fun tools, like the candy cane writing tool, when they pop up. Sharing compelling and interesting Instagram stories throughout the day. Highlighting launches and special Q&As with Instagram Live disappearing videos. One important note about Live videos and Instagram Stories is that you can’t play music that you don’t have the legal right to use on your live videos. I’ve seen plenty of people dancing around to songs and adding music to their Instagram stories but this violates copyright laws. Peg Fitzpatrick is a social media strategist and the co-author of The Art of Social Media: Power Tips for Power Users with Guy Kawasaki. What do you think? Which changes will most affect your approach to Instagram marketing? Which of these predictions is most interesting to you? Share your thoughts in the comments below.